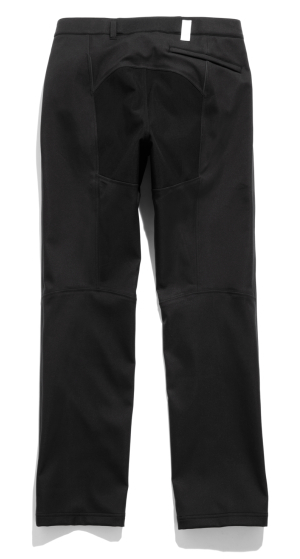 Does Rapha now make the ultimate city cycling trousers? Today clothing maker Rapha launched what it hopes will be the answer for anyone that wants to ride in the rainy city and arrive looking ready for work. Their new Softshell Trousers are cut to look like a pair of the smart items you might wear to see the bank manager but they hide some features that make them ideal for cycling in the worst weather as well. For a start, the fabric is a modern microfibre that with the right coating and finishing is as light, breathable and nice to feel as a natural fabric but is also highly wind and water resistant. This particular Softshell fabric has already been used successfully in iterations of Rapha’s Classic Softshell Jacket. Trousers, however, throw up a whole new lot of challenges. It’s the careful combination of the cut of the knees and lower leg plus a subtle abrasion-resistant seat that makes the difference. There’s also a discrete (and discreet) self-coloured Neoprene patch at the rear in case the rider unwisely opts for the no-mudguards look. Needless to say, for £180, Rapha have some pretty big cajones but this is hardly new territory for them. As long as they’ve maintained the usual quality of material and finish I can’t see anything but less ridicule for cyclists’ legs in the nation’s workplaces. The French Vitus brand that achieved cult status among club cyclists back in the 1970s and 80s has been bought lock, stock and bottom bracket by the Northern Irish mail order retailer Chain Reaction Cycles. Vitus frames were distinctive for their lugged and bonded construction using aluminium tubes – later carbon-fibre – and always came in beautiful anodised finishes. Despite the good looks, Vitus’s main credibility came from being ridden in the professional ranks, most notably by Sean Kelly in his heyday. There are no more bonded frames, however, with the new regime. Aluminium, yes, in modern oversized guise for very reasonable prices; Razor for £650 has a mixture of Shimano Sora and SRAM components while the Zenium at £799.99 is decked out with Shimano Tiagra parts throughout. But it’s the up-to-the minute, moulded monocoque carbon-fibre models that are propelling the revived Vitus name straight into competitive Boardman territory. 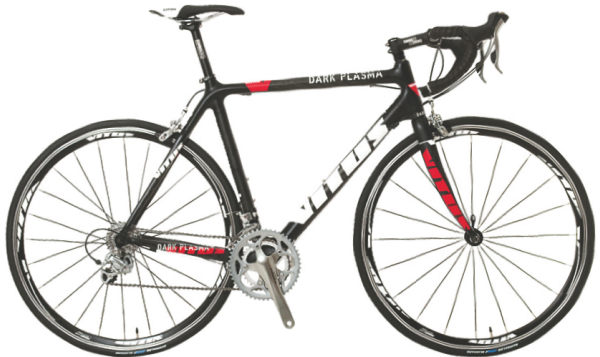 Dark Plasma, with Tiagra components and a 8.5kg fighting weight costs £1,150 while for £1,500 the Dark Plasma VR uses the same frame but with Shimano 105 kit. Topping off the road range are two models based on another, higher modulus, carbon frame. The Venon VR sell for £1,440 and is again finished with a 105 groupset, while the Vitesse VR comes with Shimano Ultegra components and an all-up weight of 7.58kg for £2,200. Although they won’t be warm and dry enough for the very worst of the winter, you can’t argue with the prices on DeFeet’s existing DuraGloves (£12.99), Slipstream Shoe Covers (£12.99) and Arm Skins (£16.99) and this season they’re available in fluorescent yellow, too. Definitely one for Santa’s wish list is boxed gift sets of three pairs of DeFeet Merino wool socks for £26.99. That’s two pairs of their super-warm Woolie Boolies and another of Wooleators. These are bound to be well received by cyclists who like their feet warm in the winter and cool in summer. 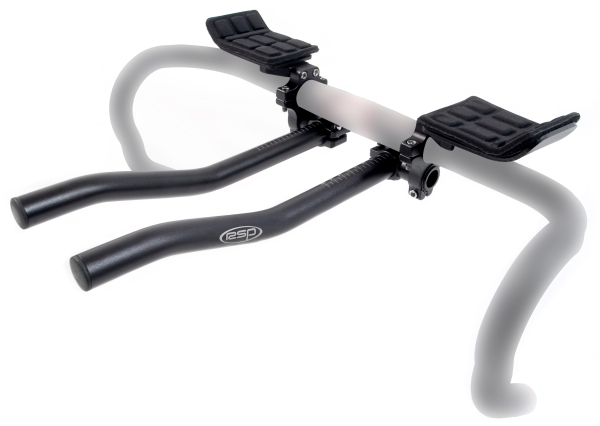 ‘Popular Price’ is one of those terrible marketing terms which usually means in parenthesis ‘Dodgy Quality’ but these £44.99 aero tri-bars from Raleigh’s RSP (Raleigh Special Products) range seem neither clunky nor hefty with a good range of simple and secure adjustment. Which, for a set of aero bars that you clip on to a standard road bike for an initial experimental time trial, say, might be all you need. There are RSP Look-style pedals, dropped bars, seatposts and, soon, road saddles, too. It’s the advantage of so many more people riding road bikes now that the price/performance ratio is swinging a bit more in favour of hard-pressed consumers. Hooray for that. 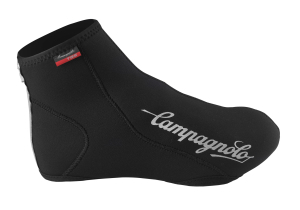 C034 Thermo TXN Waterproof Overshoes £39.99 (above) Campagnolo’s proprietary microfibre called Thermo Textran with taped seams for complete protection from water plus a large zip pull tab and reflective detail. 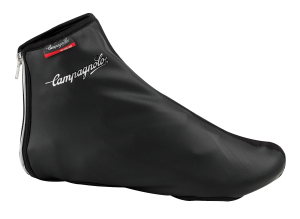 C728 NPN Overshoes £29.99 (right) 2.5mm Neoprene with heat heat sealed seams so completely waterproof. With zip rear and a large pull tab and reflective detail. 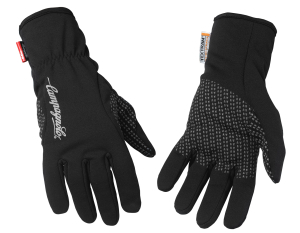 C718 Waterproof Glove £54.99 (above) Cordura construction and claimed to be waterproof and windproof, there are Velcro closures and reflective contrasts. 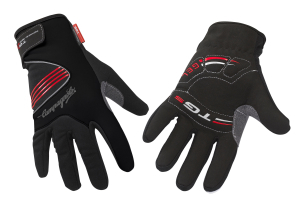 C442 Racing Glove £44.99 (right) A lighter microfibre material they call Thermo Textran, you get printed gel on the palms for grip, Velcro closures and reflective details. 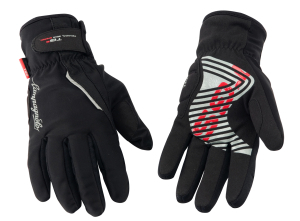 C727 Man Glove £34.99 (above) Lighter again Thermo Textran for water and wind protection and reflective logos. So, prices on the higher side but certainly within the range of the leading clothing brands and with quality seemingly doing justice to the name. Bring on the winter. In the same week that Evans Cycles opened its 42nd store, the latest one in Leeds marking an inexorable march north from its South London roots, another southern dealership is going for a different approach that appears to have well and truly raised the proverbial bar. Fair enough, it helps that Sigma Sport (below) nestles in the heart of leafy suburbia and one of the most prosperous manors in the country. Although the village of Hampton Wick was long ago absorbed into Kingston upon Thames, it’s not what you’d call Urban Sprawl. More or less their nearest retail neighbour across the river at Kingston Bridge is John Lewis which gives some idea of the standard Sigma Sport were aiming for when they undertook a complete rebuild of a period-style property. It now looks more like a shrine to cycling’s best bike brands. 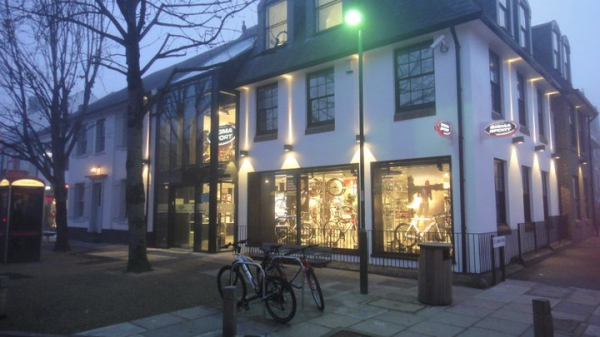 There’s a reception area with cycle parking bigger than most bike shops, a lift to the second floor workshop and a clubroom featuring comfortable leather sofas. There are whole floors devoted to the big brands like Specialized and Trek, as well as dedicated areas for the exotic Italians. Colnago gets the world’s largest chest of drawers, custom made to show off each frameset like a precious artefact in a museum. Cycling Weekly has featured the artist James Straffon before; at last Tour de France time he was showing his mixed-media paintings in Sir Paul Smith’s gallery shop at Terminal 5 and recently we saw him with a new theme at the Condor booth of the Cycle Show, London. It was meeting Taiwanese cycling shoe maker Quoc Pham, also showing at Condor’s, that prompted his latest artwork. 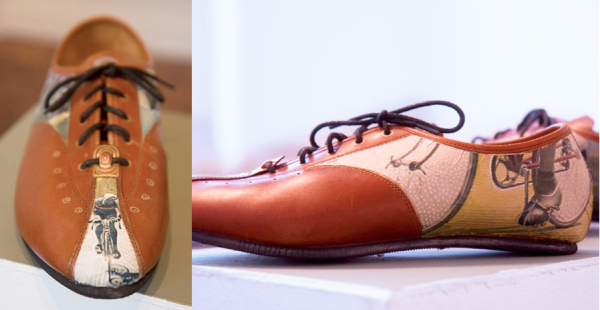 Cycling clothing specialist Always Riding spotted a pair of Quoc Pham’s beautiful shoes detailed in Straffon’s signature style at a recent exhibition of his work. You could cycle in them, of course, but most likely these will be displayed under glass for a lucky buyer. 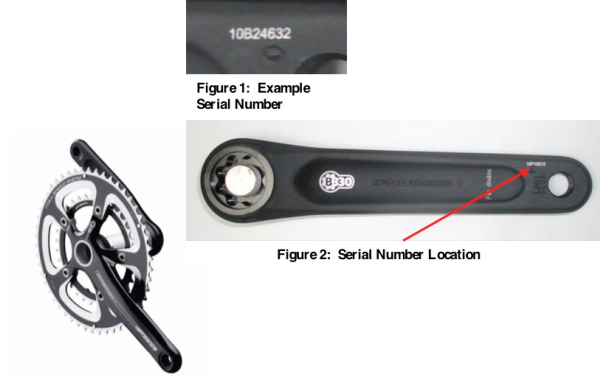 FSA today issued a recall notice on the left hand or non-drive side crank arm on their recent Gossamer BB30 crankset. Apparently, the arm can crack if it’s tightened beyond the recommended torque setting. Only a limited number have been shipped as boxed cranksets in the UK, according to the distributor Windwave but there will be more on complete bicycles purchased recently. The important thing is to check if your FSA Gossamer left hand crank has the serial number beginning with 10B, 10C or 10D. If it does, you need to take it back to the shop where you bought it. FSA Gossamer crankset; it’s the left crank you need to check. Also, anyone who recently bought one of the following bikes needs to contact the shop it came from.